Infomercials have graced the small screen since the 1950s. They are essentially a form of commercial that exemplify a product in front of the audience of viewers so that they would want to purchase what they are seeing. We are used to seeing infomercials with a toll free number or website on the bottom of the screen to get our fingers wanted to dial and get hold of our wallets. What we seldom think about are the men and women, whether famous or not, who are the faces of these brands. Some of the representatives are the founders and creators of the brand while others are celebrities like Scarlett Johansson or Christie Brinkley. The power of the celebrity endorsement has been around since the early 2000s it seems. These days, celebrities are paid bucket loads of cash to say that this product or that product is their favorite, especially now with the digital world of social media. However, we are looking back now at the real infomercial stars, the men (because oddly enough it is mostly men) who invented, created, founded and branded their patented technique and introduced it to the world in order for us to consume it as all know how. Infomercials and commercials differ in their length, content and purpose. Informercials show you the product live and in action, they provide you with information as to how to get the product (website or telephone on the screen), as well as give you payment options right then and there. At the end of the day it is all about sales, and the world of sales is shifting at a stunning rate. What worked 20 years ago wouldn’t certainly work now. Like we said, celebrities have entered the infomercial and commercial market so all bets are off. 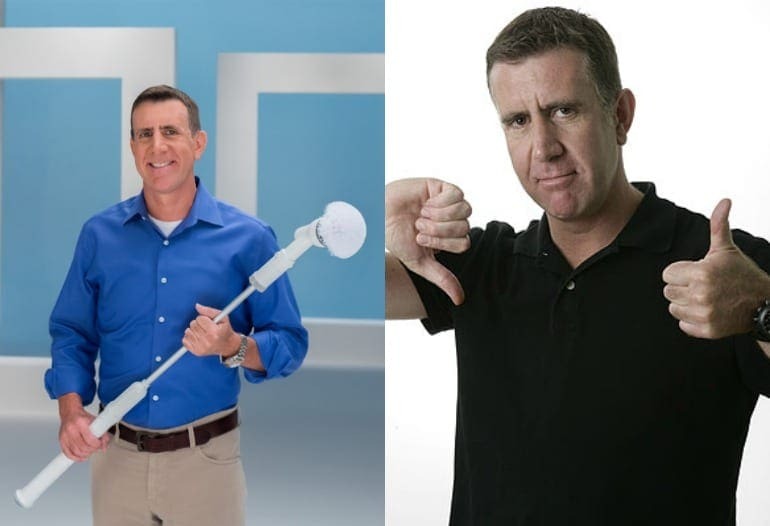 Anthony Sullivan is known best for his infomercial pitchman skills for brands like Turbo Scrub and OxiClean. The English actor is the CEO of Sullivan Productions, Inc. which is the company that developed and subsequently launched brands like OxiClean. Sullivan has been a part of many brands that you use on a daily basis, more than you even know. Today, Sullivan lives in the United States and enjoys racing in marathons and triathlons. Singer and reality star Jessica Simpson was one of the many celebrity faces of Proactiv, the acne removing facial product. Simpson was live on the infomercial explaining her skin issues with the wear of constant makeup and such. Proactiv has used many celebrities in its campaigns, which have worked wonders on people and for the brand itself. Since being on the infomercial, Simpson has remarried and has two children and is now focused on her Jessica Simpson brand than on singing. “Set it and forget it!” is the line we would all say to the television when Ron Popeil would point at his audience to say back to him. Ron was the inventor and face behind the Showtime Rotisserie Oven. He came at a time when people wanted to heighten their in-home cooking experience, so he offered them a way to perfectly grill a chicken on their very own. 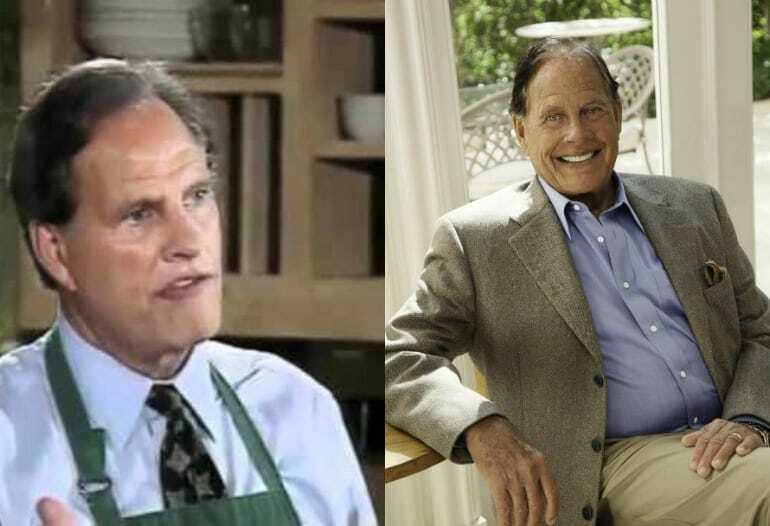 Sadly, his company, Ronco, went bankrupt back in 2007. Popeil is currently living in New York City and enjoying his retirement. Former NFL quarterback Dan Marino was one of the biggest names in Miami Dolphin history. After his retirement from the game, Marino gained some unwanted weight and was seemingly out of a job, although his name still resonated with people everywhere. The result of that combination was Nutrisystem asking him to be the face of their brand. 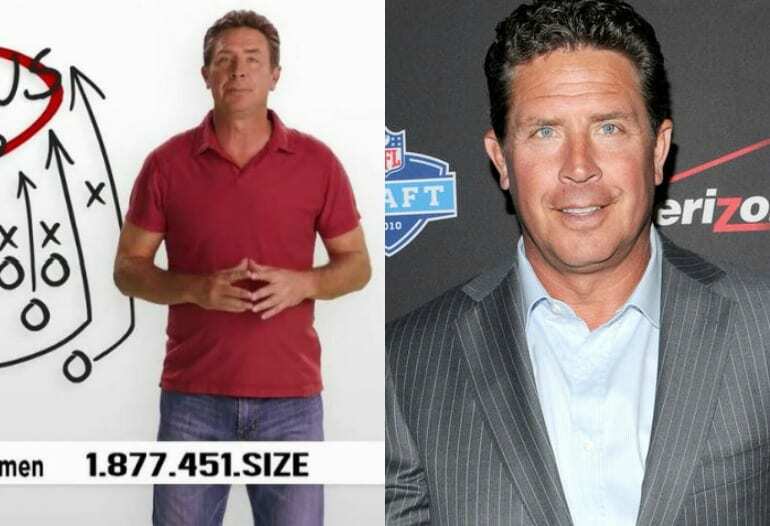 The weight loss tool helped Marino shed the weight and get a paying gig all at the same time. Win win for everyone! 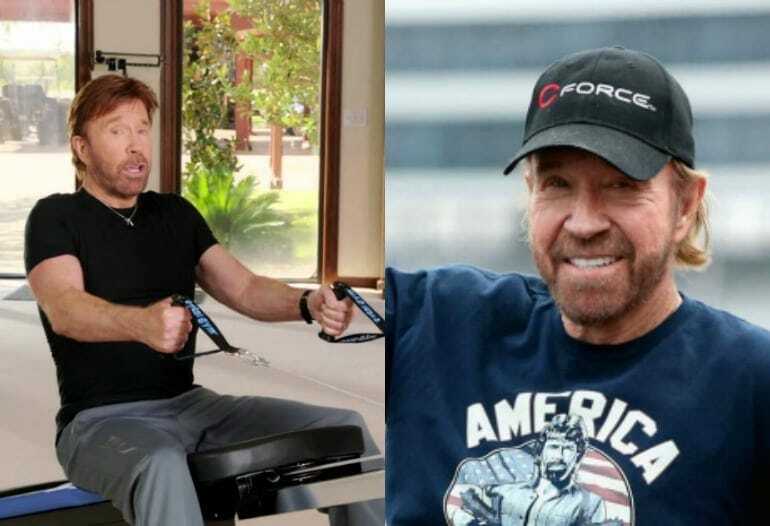 Former action star Chuck Norris was known for his rear end kicking and martial arts chops in Walker, Texas Ranger. Walker endorsed the exercise machine Total Gym when it first came out and has done so for over 30 years. Norris is still in incredible shape and so he is a seriously credible example of why viewers should jump on the Total Gym band wagon. In recent years, Norris has been a part of The Expendables 2 film. That was the last film he was featured in for the moment. Actress Valerie Bertinelli was one of the spokeswomen for the Jenny Craig weight loss method. Valerie, known for her role as Barbara Cooper Royer on the show One Day at a time in the 70s and 80s found herself gaining weight as an adult. Jenny Craig was an opportunity to lose weight and grab a job along the way. She lost her weight and was the spokesperson for the brand. After her time on the informercial, Bertinelli was on the show Hot in Cleveland. Former professional boxer George Foreman went into marketing and branding after his boxing career had run its course. He is a two-time heavyweight champion and has earned himself an Olympic gold medal. Salton Inc. was looking for someone to be the spokesperson for their low-fat grill and Foreman was the perfect fit as he believed his success was due to a low at diet. Since Foreman has been the face of the brand, it has sold more than 100 million units. 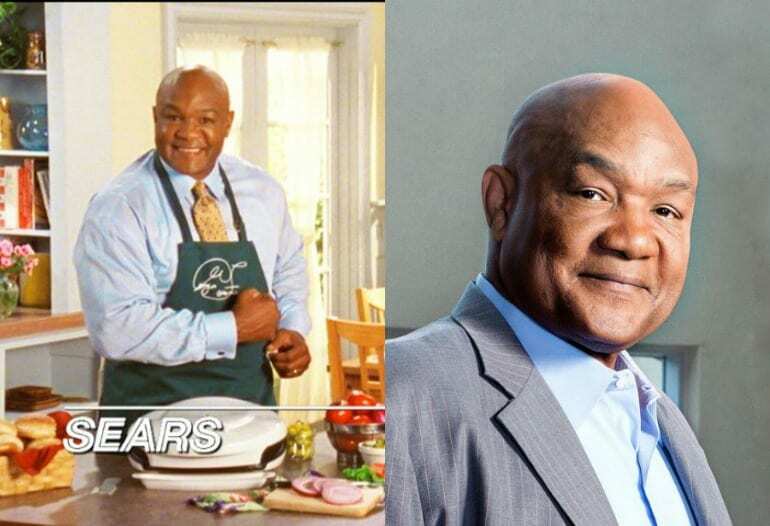 Today, Foreman is still the face of the George Foreman Grill and seems to remain so for the time being. If this guy’s name sounds familiar to you, it’s because he is the brains behind the Dyson vacuum cleaner. James was the mind and face in the informercials for his beloved device. The inventor showed audiences exactly how strong his vacuum cleaner was and people went flocking to purchase their very own. 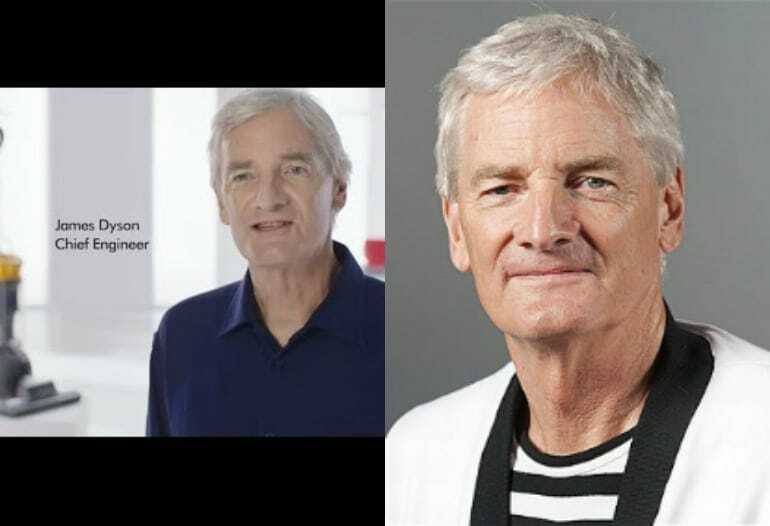 Today, Sir James Dyson serves as the Provost of the Royal College of art. Dyson vacuums are still a very large portion of the cleaning market and will probably be a part of it for many years to come. 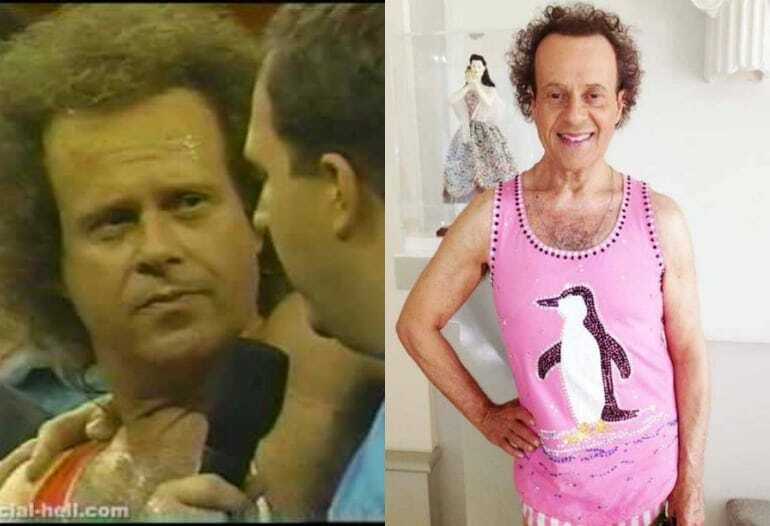 We all remember Richard Simmons from the large amount of fitness tapes he sold back in the 1980s. Simmons is considered a workout guru as he personally went through a transformation when he lost over 100 pounds and used his own success to spearhead the weight loss of the nation. Today, Simmons has lost even more weight and has sold over 20 million copies of his workout videos. He will always be remembered for his Sweatin’ to the Oldies and those tight spandex outfits! Who can forget actress Suzanne Somers ThighMaster! Everyone wanted Somers’ figure so she made bank on her promise to help sculpt women’s thighs like play-dough. The infomercial Somers was a part of had her sitting on a couch with the device in between her legs. Needless to say, men were bug-eyed and women were wanting to do the same. Somers sold over 10 million ThighMasters globally and laughed all the way to the bank. Today, Somers is more focused on her writing career, publishing two books over the last few years. Susan Powter: Stop the Insanity! Susan Powter coined the term ‘Stop the Insanity’ in the 1990s with her weight loss infomercial where she describes stupidity and lack of motivation as the reasons for obesity. Powter, an Australian national, is a personal trainer, nutritionist and author. Today, she is more focused on motivational speaking and assisting those who are trying to lose weight. In 2007, Powter was on an episode of The Simple Life: Goes to Camp where she was a fitness camp motivator. In 2011, she was a guest judge on RuPaul’s Drag Race. 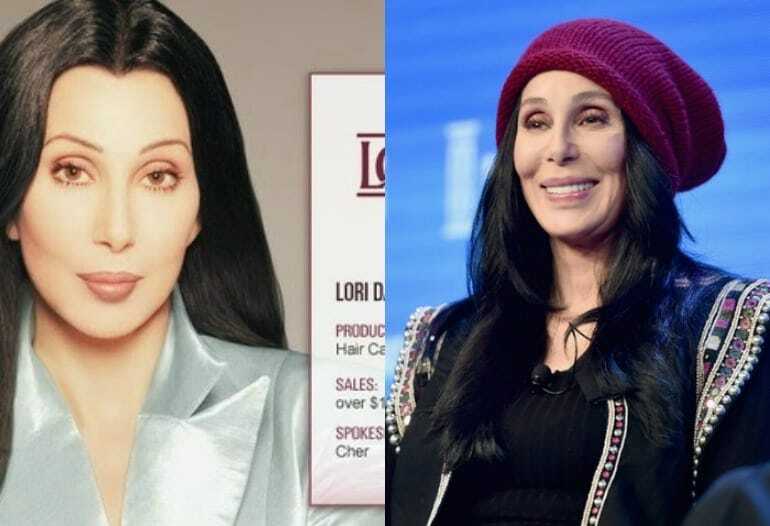 The Goddess of Pop herself was the face and hair behind Lori Davis hair products back in the 1990s. She didn’t realize the effect the informercial would have on her and her career and said, “Suddenly I became the Infomercial Queen and it didn’t occur to me that people would focus on that and strip me of all my other things.” Today, Cher is known for her music, outlandish outfits and her incredible durability (both career and body) so she doesn’t have to worry about the time she was in an informercial. Alex Gerrard, previously known as Alex Curran before she got married, was the model behind the Shake Weight infomercial. The blonde beauty showed the world that a heavy weight that you stand there and shake will sculpt your arms wonderfully. Alex was the representative back in 2009 and has since married and had four children! Alex is married to soccer player Steven Gerrard and has three daughters and one son with him. Former pop boy bander Nick Lachey was in an informercial for personal trainer to the stars Gunner Peterson. This was at the time that Nick was still married to Jessica Simpson and loved showing off his super buff body to the world on his reality show and music videos. Today, Nick is remarried and has two children. He doesn’t do much singing anymore but is in front of the camera at various Hollywood events and does a lot of behind the scenes entrepreneurial gigs. 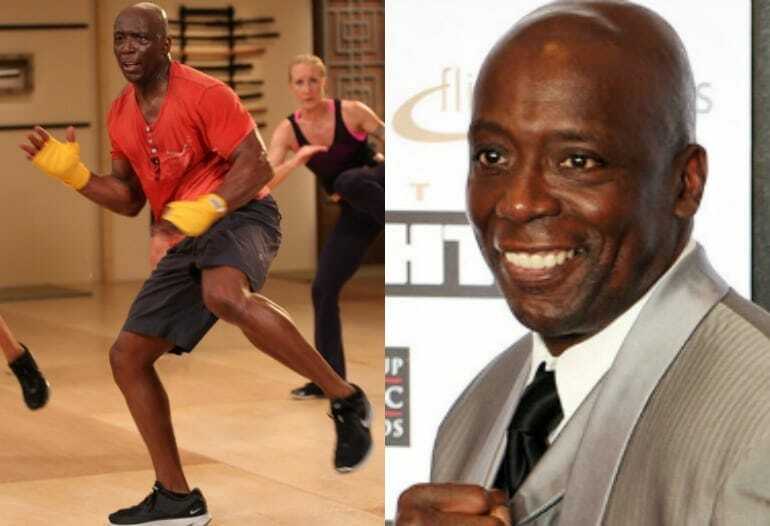 American fitness guru and martial artist Billy Blanks, is also the creator of the Tae Bo workout program. He used what he knew as a martial artist and shifted it into an exercise program people can do to get in shape. As the creator he was also the head of the brand and was the face on the infomercials. Billy now lives in Japan with his second wife, Tomoko Sato. The two are parents to one mutual daughter and Blanks adopted Sato’s children from a previous relationship. Much like many other celebrities, Vanessa Williams was one of the many who were a part of the Proactiv skin care informercial. Proactiv is the real deal when it comes to helping those who have severe acne that needs dealing with. Vanessa was on the informercial with her daughter. Williams has since been on shows like Desperate Housewives and Ugly Betty. Williams pops up just when you think she is going away, and we love her for it! We knew Tony Horton before we knew it was even him. Tony was the abs behind the Bowflex informercials. He was one of the very first men displayed on the fitness machine. Today, Horton is the brains behind the workout craze P90X, the workout video that promises to kick your behind into shape within 30 days. He is also a personal trainer and author and looks as wonderful as you would expect him to look after doing nothing more than work out all the time. Super conservative talk show host and television personality Elisabeth Hasselbeck, surprised us all by dressing in her pretty skimpy workout clothes for an infomercial for Ab Glider. While yes, she does have ridiculously sculpted abs, the normally covered up Hasselbeck made our eyes widen. We are sure her ‘The View’ co-hosts had a lot to say about her participation. The now mother of three is proud of her physique but we are pretty certain that she could have done the infomercial with a fitness top instead. Billy is probably the most famous infomercial star on this list. 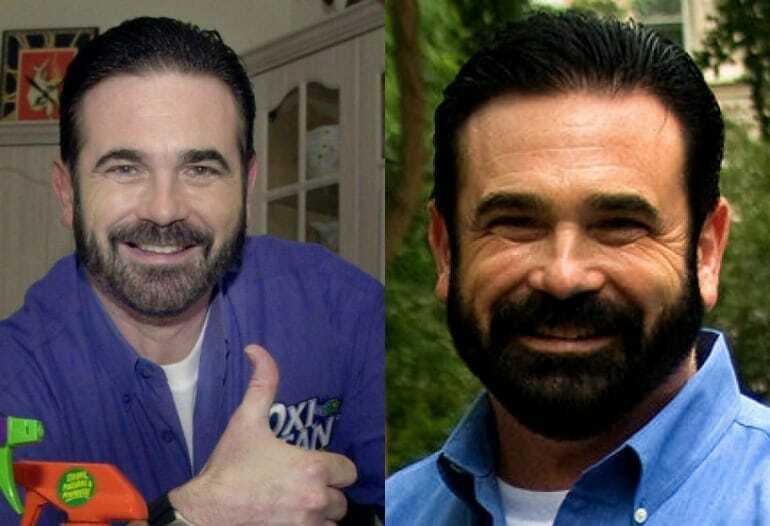 The OxiClean and Kaboom spokesperson had such a way with words and so much energy that it was practically contagious and definitely believable. Billy signed a deal with Taco Bell to be their representative in a series of new informercials for the fast food chain. Sadly, Billy passed away in 2009 before he managed to shoot any of the informercials. His death came as a shock to the media community and the many people who followed his informercials and career. 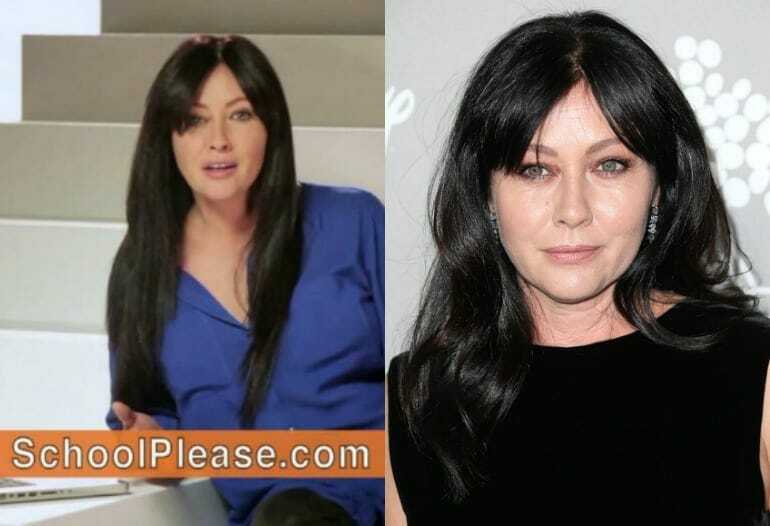 Actress Shannen Doherty’s career took a quieter turn after her time on Beverly Hills 90210 and Charmed. After her time on the shows, Doherty decided to get into the infomercial game. She was the spokesperson for Education Connection, an online college degree program. On the infomercial she said, “I’m on my way to getting my college degree!”, whether we believed her then or not, we wish her all the best and lots of health (as she is currently battling cancer). Tony Little, famous for his buff body and curly long hair, was the face behind the Gazelle Glider. The informercials were a little awkward to watch, as Little would stand right behind the woman on the fitness machine (to prove that the machine could hold the weight of both their bodies) and would look like he was getting a tad too close for comfort, not to mention his chanting of ‘yeah baby’. 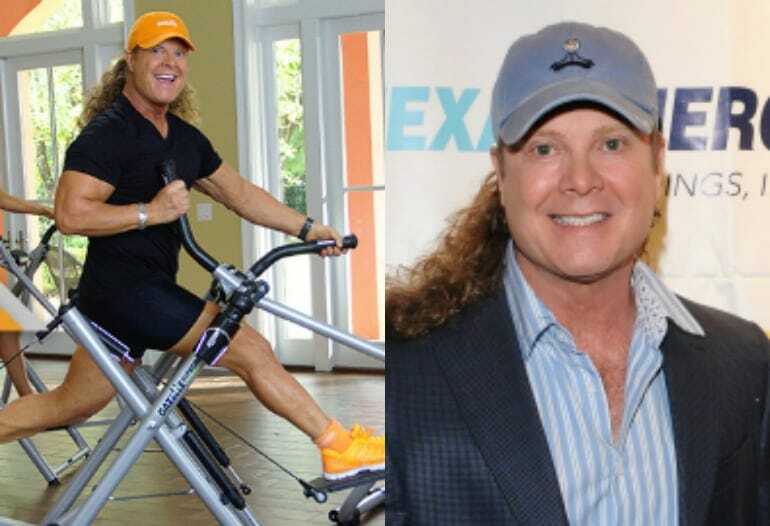 Today, Little is still a television personality who identifies himself as ‘America’s Personal Trainer’. Everyone fears Mr. T! Well, not really. Mr. T, however, is an intimidating figure so when he tells you that the FlavorWave Oven Turbo is the best one on the market, you listen! This oven is part of the Foreman Grill brand so he is sort of the successor to George Foreman himself. 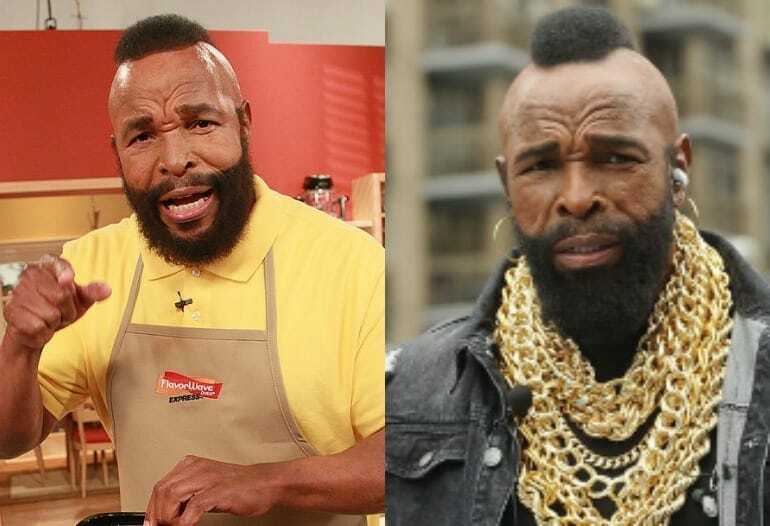 Mr. T, known for his role in the 1980s A-Team, has been in the reality television show circuit in recent years. He has been on Dancing with the Stars, and on World’s Craziest Fools. Jack LaLanne was one of the most well-known individuals in the world of physical fitness. He was nicknamed the Godfather of Fitness as well as the First Fitness Superhero. People looked up to Jack and constantly looked for ways to be healthier and more like him. 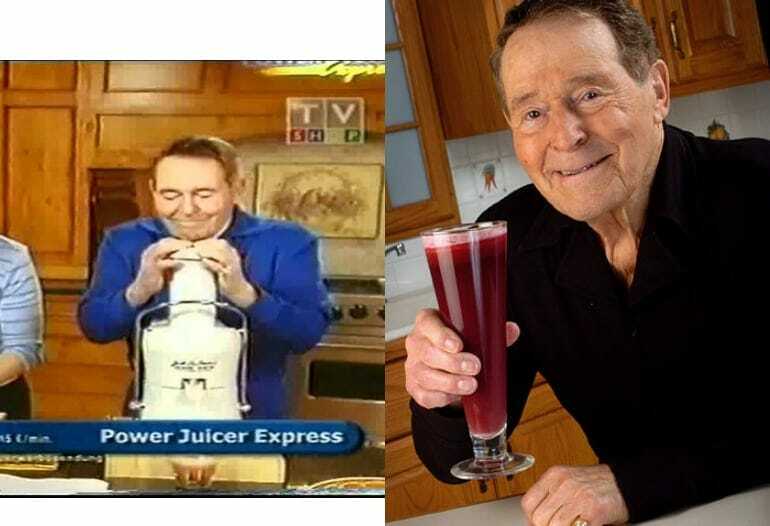 Jack capitalized on his status and created the Power Juicer, which he proceeded to market on informercials, telling people that if they follow him they will look and feel younger! Whether the daily dose of juice or not, Jack lived to be 96 years old. He passed away in 2011 from natural causes. 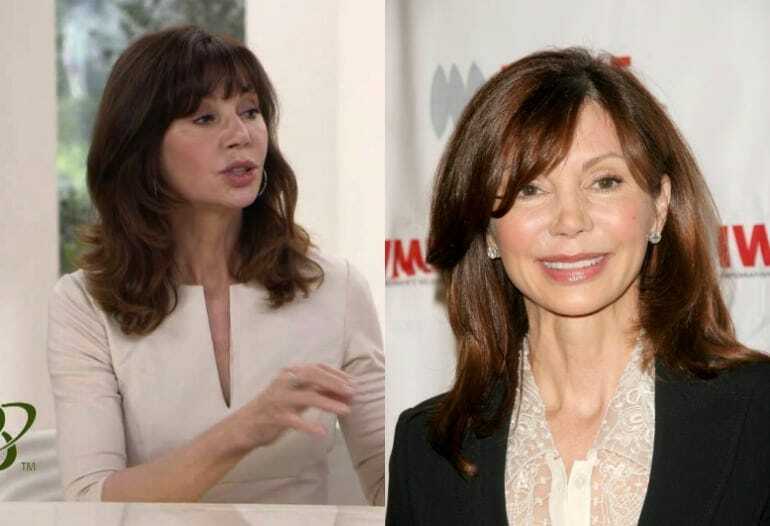 Victoria Principal gained her fame on the show Dallas. After her time on the show she not only starred in Principal Secret’s informercial but was the one who produced the brand (hence the name). The skin care line was such a success that Victoria earned the National Infomercial Marketing Association award in 1995. We honestly didn’t even know that was a thing, but it is! Victoria no longer appears on television or film but is more focused on her philanthropic causes. Looking the way Susan Lucci does, it makes perfect sense that she would be the name and face behind Malibu Pilates. Lucci said that pilates were her way to get the body she has and so she endorsed the pilates brand with gusto. Lucci, who got famous for her role in the soap opera All My Children, is a Daytime Emmy Award winning actress and has been a guest star on shows like Friends, Devious Maids and Army Wives, as well as most recently, the film Joy. “Sheer Cover makes you look like you have nothing to hide” is what Leeza Gibbons would say in the Sheer Cover informercial. 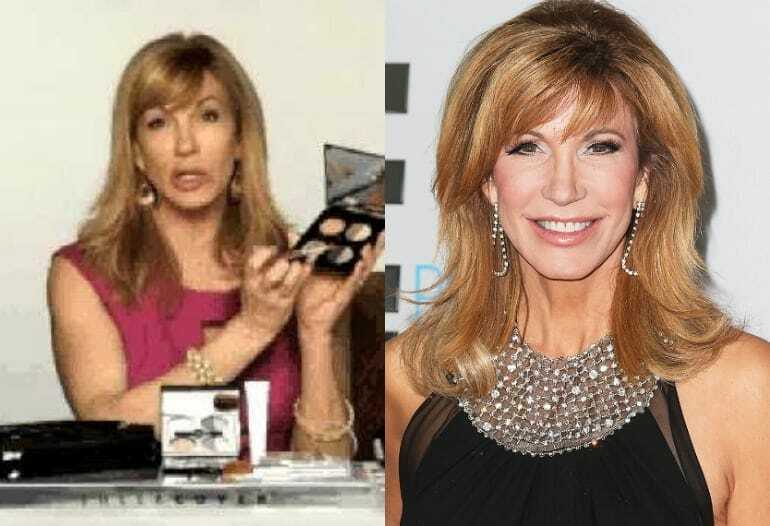 Gibbons, who has been on television for decades, knew a few things about getting her makeup done, which is why she decided to endorse Sheer Cover, she liked what she saw. The television show host told millions of women that with Sheer Cover they would look as if they aren’t’ wearing any makeup when in fact they are wearing loads. Today, Leeza is more focused on reality television as she was a part of Celebrity Apprentice in 2015. No, no, you aren’t losing your vision. 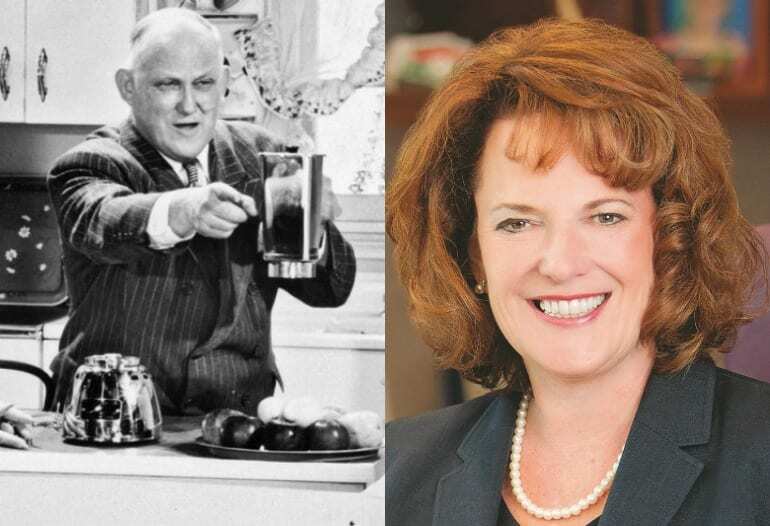 To the left you see the original infomercial star, William G. Barnard, the founder of Vitamix, and to the right you see his great-great granddaughter, Jodi Berg, who is the current President and CEO of Vitamix Corp. Papa started everything about with his invention and personality, while the next generations carried on his tradition. Back in the 1970s, Ed Valenti and Barry Becher created and marketed the Ginsu, a kitchen knife that was capable of slicing through almost anything. Becher and Valenti were thought to be total masterminds for advertising the knife the way they did – through infomercials. People all over the nation were captivated seeing the knife slice and dice the way it did, leading to substantial sales of the product. 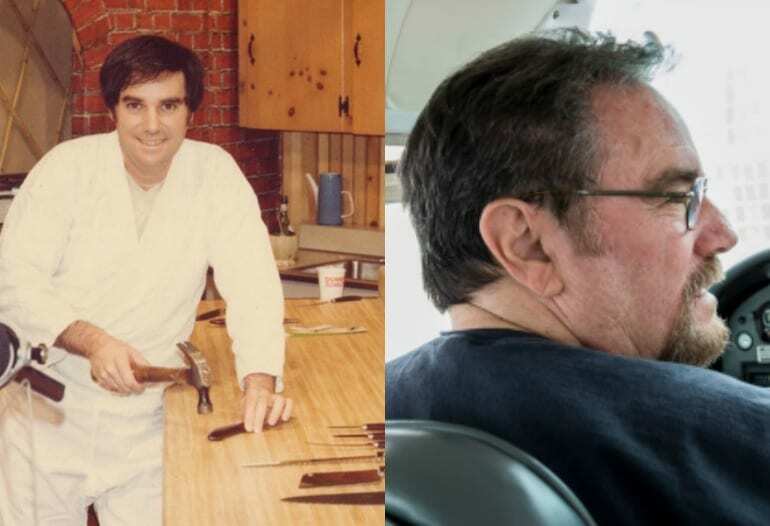 Ed Valenti continued to have success in informercials, while Barry stood by the Ginsu. Becher passed away in 2012. Model Christie Brinkley joined Chuck Norris in backing Total Gym. When you look as incredible as Christie does at her age, women everywhere are wondering what she does to look the way she does. Brinkley used her followers to be the best face for the home exercise machine. Brinkley has since launched her own beauty and health product line. Brinkley’s daughter, Sailor, has taken after her mom and is now modeling as well. Actress Scarlett Johansson was the face behind the SodaStream informercial. SodaStream has been around for decades, but has recently revamped their advertising structure. SodaStream, which is a company the produces devices that create carbonated water for the masses, added flavor syrups to their menu that you can order. Johansson as their Global Brand Ambassador, represented the company and its flavor innovation with all the style a movie star can bring. 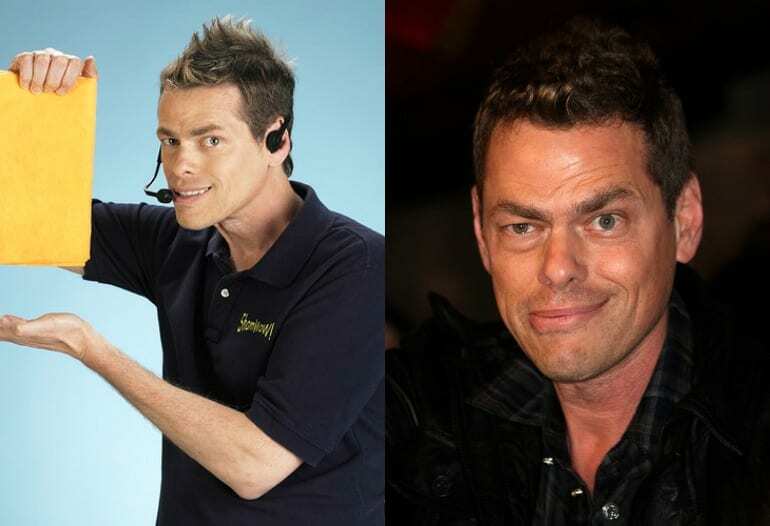 Vince Offer, also known as The Shamwow Guy, advertised the cleaning hack for years, gaining a reputation as quite the salesman and television personality. We all know his sideways look, especially since he always wanted us to know it. Today, Vince has been through some ups and downs in the media but has taken a better turn in recent years, getting married for the first time and having a child. Offer continues to invent things and represent them on television for our viewing pleasure.